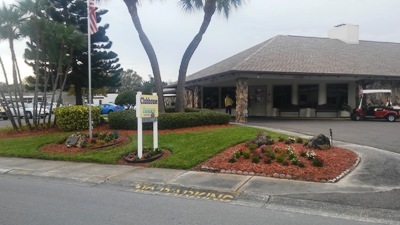 Paradise Island offers a great value in Manufactured Home living including Swimming Pool with hot tub and covered picnic area, shuffleboard, bocce ball and horse shoes courts, club house with seating for 400 with a commercial kitchen and billiard room. We enjoy well lit and maintained sidewalks and streets throughout our 828 unit community to insure safe walking, running or cycling. Community News and Events Media: Residents are kept apprised of events, dates and times, through our printed Monthly Media and Calendar publication, web site and Cable TV (Spectrum HD Channel 732). The Paradise Island community also has numerous specialty clubs with their own events and agendas. Please see a listing of Clubs and Groups! A manufactured home is one of the best housing values available today. Construction is rigorously regulated and built to HUD codes. All manufactured home units in the community are at least two bedrooms and two bathrooms (double wide, cathedral ceilings, carport, shed and air conditioning) that can offer from 1100 to 1700 square feet of living space. A study by Foremost Insurance Companies shows that manufactured or modular housing appreciates at a higher rate than site built homes. The community is professionally managed and is administered by a professional management company, which has long term experience in community management, to protect your interest in the community. 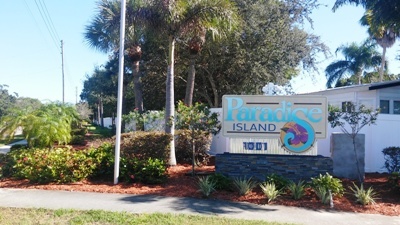 Paradise Island directors maintain the community to insure that uniform standards are met. Streets, lighting, sewers, pool and our large community center club house are all kept operational and beautiful. These amenities protect the community value and the one fee a month covers total maintenance costs throughout the community, including all the recreation areas. There are rules and regulations that result in a consistently high quality community with all residents abiding with these rules and regulations. We believe retirement living should be hassle-free; all rules are published to eliminate any surprises. You can have confidence that your living conditions will be of high quality, at a reasonable cost. Included in the maintenance agreement are essentials such as potable water, reclaimed water, sewer, lawn mowing and complete maintenance of all common areas. These benefits - coupled with security, professional management, sensible regulations and enforcement - instills confidence that everyone will abide by approved standards, thus insuring a better life style and peace of mind for the entire community.